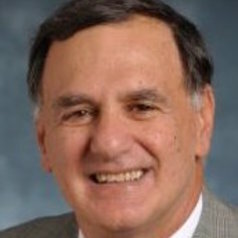 Professor Sievert graduated from St. Bonaventure University in 1970, served four years as an Army officer and graduated from the University of Texas School of Law in 1977. He joined the US Department of Justice in 1983. After trying several major violent crime, corruption and fraud cases he was named a DOJ Senior Litigation Counsel, Chief of the Criminal Division of the Eastern District of Texas, Chief of the Austin Division of the Western District of Texas and DOJ Assistant Director in Charge of the evaluation of all of the nation's US Attorney's offices. In 1990 he was assigned to DOJ's National Security Working Group and as an International and National Security Coordinator for the Department as well as legal advisor to the Central Texas Counter Terrorism Working Group. As INSC he worked closely with the FBI and US intelligence agencies on both international and national security related cases, trained federal prosecutors, and has traveled to Kosovo, Qatar, Israel and England to teach foreign judges and prosecutors and investigate international and national security matters. He began teaching at the FBI Academy and US Department of Justice Advocacy Institute in 1985. In 2000 he took a leave of absence to teach National Security Law and Federal Criminal Law at the University of Texas School of Law and has continued teaching as an adjunct professor at UT Law. He has received several awards for his work including the Department of Justice Directors Award for Superior Performance on two occasions and awards from several government agencies. He has published two books, Cases and Materials on US Law and National Security (2000, third edition 2012) and Defense, Liberty and the Constitution (2005) as well as nine Law Review Articles on legal issues related to national security.